Your dog’s response is your indicator that you are training “clean”. If you feel something may be missing, browse through the sections and check your understanding, skills and application. The training process goes backwards and forwards, to and fro between ourselves and the dog like a balanced conversation. The responsibility of the person, the knowledge and understanding of the technology. The skills they will need to practice to communicate effectively. This exists whether we like or don’t like it, understand it or find it confusing. This does not control what we do, but it underpins how what we do, works. Dogs do what dogs do, their behaviour is shaped by what works and what doesn’t work. They seek information of value to them. Have we considered the reinforcement delivery process to compliment the behaviour. Tools checked and handy, clicker, targets, note pad. Environment conducive to learning, no phones, no interruptions, distractions. Have we practised the skills we are going to use? Tossing practise, pointing practise, placing practise. If it is a piece of food, how large, what content, what size if to be thrown, how much scent is likely. If it is play, have we taught the appropriate rules, aware of the safety requirements and the Start / Stop cues. If it is affection, tactile contact, has this been proven to be reinforcing in this environment for this behaviour. Does the location of the reinforcer reserve affect the behaviour? Are we wearing the food, carrying the toy or do we go to collect it? Does the placement of the delivery set up the start of the next behaviour? Does the delivery pattern affect the repetitions of the behaviour? Does a consistent pattern contribute specific anticipation into the behaviour? Does the pace of the delivery affect the behaviour? Does the pace suit the speed of the learning, their learning? Have we taught the dog the reinforcement process? Can they recognise the cues for different delivery patterns? The difference between take from hand and follow hand when luring. Go collect the food yourself, and I’ll collect the food for you. 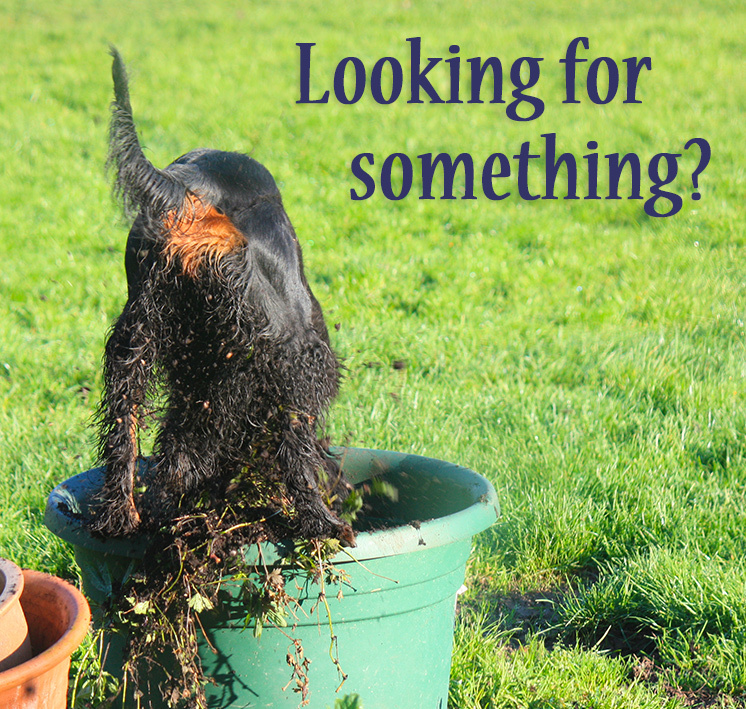 Does the dog have a strong interest in the available reinforcers? Do we have good evidence of that? Could the anticipation cause over arousal. Have we set an environment to compliment the learning? Are we aware of changes in the environment? Have we planned the learning that enables us to clearly see what is happening? Do we need resting areas and learning areas to be separate? Have we planned the cues? Have we chosen appropriate words, tone, pace, pitch? Have we practised how we deliver the cues? Are we aware of pre-cues? If we are giving a signal, how is it viewed by the dog, what movement opens the signal, how long will it be presented for. 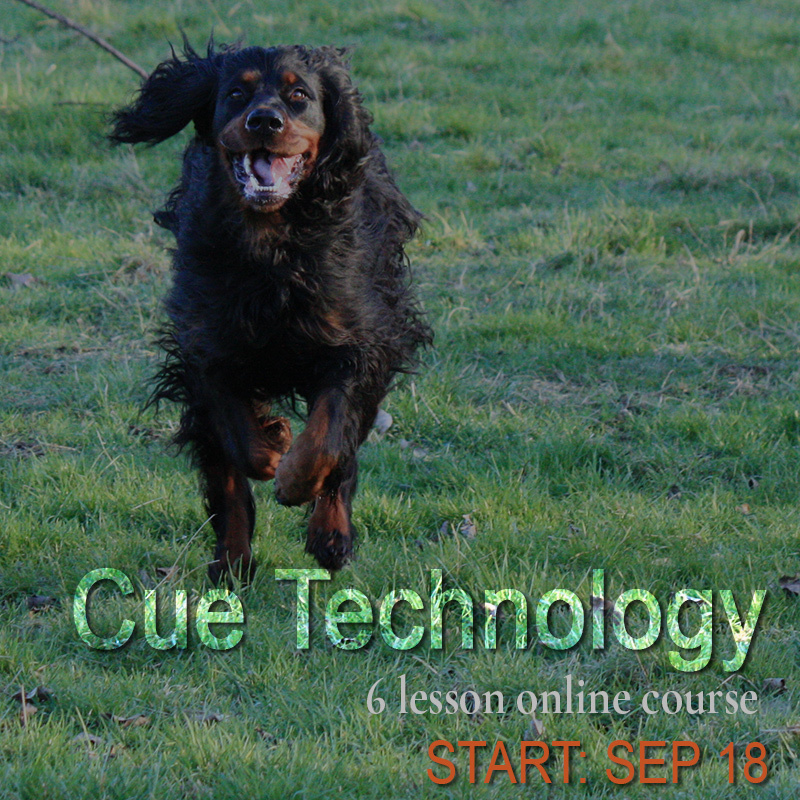 Do we deliver the cues when the dog gives a a cue – when they are cue seeking. Are we disciplined to NOT repeat the cue. Are we aware of the temporary cue during learning (which may be a target or a lure). Do we understand the procedures for transferring the new cues. Have we planned a performance cue for the life of the behaviour. What associations are in the past with these antecedents? This includes everything around us and the dog. Certain elements are more relevant to the dog than us, such as scent. There are pre-cues that the dog will be looking for. This may vary from an intake of breath, to eye contact, a poise, a raise of eyebrows. We want pre-cues, we do not want cues launched without preparation. This is what we would like the dog to select and respond to. Are we clear that the dog is telling us they are ready and when they are finished? Have a cue to call it a day, and this not be a dissappointment. Does the dog have associations with this environment that would conflict with learning? Has the dog a history of reinforcement in this environment? Does the dog seek cues? Have we taught and reinforced cue seeking? The pace of the response is critical information about the ease of remembering, desire to repeat, understanding of what to repeat. This is often referred to as fluency, or latency. This is under the control of the dog. What behaviours are we going to teach? Teach constructively, not seek to suppress. Teach what we want, not what we don’t want. We cannot teach the absence of a behaviour. Teach ethically appropriate for that individual learner. Is this behaviour going to change as the dog matures. Are you familiar with using your hands, or a cup on a stick, to teach the dog how to follow a lure. Can you alter the lure pace and engagement to maintain following and avoid biting or loss of focus. Can you mark by changing the lure/follow hand into a take-it-now hand. Are you familiar and confident with the dog becoming self-directed in their learning. Moulding behaviours through touch-prompting, using the environment to limit the responses. Assessing the difference between the environment proving information that is voluntarily sought, or pressure that is implicit. Connection is our base behaviour, it is where the learning begins. Connection requires you to be aware of your dog’s needs, limitations and abilities. Connection requires you to recognise when fatigue is starting. a consistent location, relative to you, perhaps in front facing you or at your side or at a distance. What is the future of this behaviour in 6 months, in 2 years, in 5 years. Does this behaviour need component behaviours already in place. Aim for a small slice of the finished behaviour rather than a pool of the whole behaviour that needs “tidying up later”. Behaviours should be allowed to develop from withint he dog, not by a veneer applied externally. Behaviour build on reinforcement will naturally gather strength. Have we taught clear cues for the learning to begin? Are we clear that the dog is telling us they are ready? Is the response correct but of a poorer quality than previous shown. Is there a missing component or skill that can be refreshed. Have you taught a default behaviour which the dog should perform if they do not recognise the cue, or would prefer not to respond. The dog should not become aware of failing, or making an error. Their effort to recognise the cue, respond with the associated behaviour should not be questioned. If the expectation is incorrect (from the person) then the dog is not at fault. They are responding to the environment is truth to their history. Markers and “good timing” after synonymous. Good timing is a result of being able to recognise exactly when the behaviour is going to happen. It comes from closely observing the behaviour for the preceding actions, such as a tail flick before lying down, or a head tip before a sit. Your marker as a cue is learned by the dog. Is the marker suitable for the behaviour – does the dog need to see the marker or hear the marker. A marker should be paired with reinforcement processes. You can choose to use different process to specific markers. The marker is a cue to orientate and prepare to begin the reinforcement process. Does the dog show a response to the marker. If the dog responds but does NOT seek the reinforcement from us, then is the dog getting reinforcement from the environment – such as watching another dog, scenting the air. Offering anything except cues, prior to the marker (the start of the consequence) can hide the weaknesses in the behaviour. Cheerleading the dog to success will often require cheerleading as a cue for life. Once the marker has occurred we can cheer away with volume and sincerity. Rates should only be measured for each behaviour, not in comparison between behaviours and not between learners. After the reinforcement process completes, or consumption occurs, does the dog initiate cue seeking again? If there is an increased delay to the previous repetitions this may be an indication of mental fatigue. Cues can be added to assist the maintenance and then faded from the rear, forwards. Data should be gathered to be clear on what progress is being achieved. “Performance” is developing the behaviour to its final goal, whether real life behaviours, work or sport. Continue repetition with variable environments without diminishing the quality of the behaviour. Teach selective discrimination in the presence of potential disruptions. Increase difficulty levels with harder transistions between behaviours. Extending a behaviour for longer is often a repetition of the same behaviour. We give information what is required, not withhold information and hope for the best. Article on duration, or sustaining, a behaviour. Repetition over several sessions (a lesson can have more than one session, of either the same learning or different learning) should always show progress. This should be monitored and a lack of progress should be investigated. flexible: a demonstration that the behaviour remains consistent when there are minor changes to the environment, such as distance to travel to commence, a change in surface etc. If this has piqued your interest why not join one of the online courses? Get a up to 20% discount on the online courses when you Join as a Member.